Playing around with my “new” Asahi Takumar 135mm f/2.5 I picked up from KEH for $60. 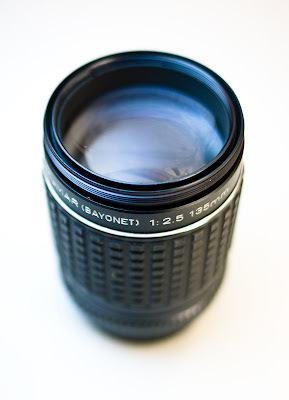 This is a very cool little lens. It’s fully manual but I’m finding that if I shoot it wide open I can use Aperture Priority mode and still have simple control over exposure compensation. I’m planning on playing around a bit with stop-down metering in manual mode using my K10D’s Green Button.